A One-Minute Daily Spiritual Exercise for Cultivating Faith, Joy, Gratitude, an Ability to Apprehend Beauty...and It Might Even Be a Treatment for ADHD! Try it for 30 days, and if you don't like it, we'll return you misery with interest! Here's a quick and simple exercise I have been doing daily for nearly 30 years and it has brought such spectacularly positive results in my life that have accumulated steadily and incrementally ever since I started. Every day, I jot down on a scrap of paper a 'gratitude list'. The gratitude list is a list of good and beautiful things that have been given to me today for which I offer thanks to God. I put down the 'essentials' of life that are true for today, for example, I am alive, I have a bed to sleep in today, I have somewhere to live, food for today, clothes to wear and so on. I then put down all the little events specific to that day that go beyond what is necessary for life, you might call these 'luxuries', for example, sunshine on this January day (sorry New Hampshire), a kind word here, the relationships with others that I have and so on. Actually writing the list is important - it forces me to crystallize the thought in my mind that much more concretely and makes the exercise more powerful. So nice thoughts in the shower, or on my morning walk don't count. It's not that there's anything wrong with that but it doesn't work as well for this exercise. I reach for pen and paper. Also, I don't wait to feel grateful before I put them down - I write down what I ought to feel grateful for! The idea is that this exercise changes how we feel, and we grow in gratitude over time even if we don't start out that way. So right now I am grateful for a huge cup of steaming coffee! Fantastic! It may sound perverse, but this is powerful for turning around my attitude to what is happening to me. I believe that all that is good comes from God and that once we hand ourselves over to his protection and care he will look after us. While it is undeniable that there is evil and suffering in the world, these things to do not come from God, for a God that is all good cannot be the creator of something bad. Rather, he permits bad things to occur in order that a greater good can come out of them. For this reason, I make a point of putting down negatives and disappointments of the day on the gratitude list too, knowing that a greater good must be coming out of it (even if I can’t see it yet). The realization of this helps me to deal with adversity with dignity and when I praise God for them (as St Peter tells us to do in one of his first letters) it helps me actually to feel good about them. I look to the example of the saints for inspiration, including that of St Peter himself, who dealt with greater suffering than I have ever had and praised God for it. So I can say to myself, okay, it's pretty bad that I missed my train...but I'm not being crucified or stoned to death as St Stephen was. The account of St Stephen in Acts shows us that hope in God transcends all suffering if we can follow the promptings of God's grace. This exercise helps me to move that ideal incrementally. Furthermore developing the habit of seeing minor irritations in this way is invaluable when more serious things happen to me. I have not had to face stoning or torture in a concentration camp, but in 30 years I have experienced some genuinely bad things - arising from the malice of others, my own selfishness or foolishness - or just plain bad luck. Having practised an attitude of faith and hope that transcends the small reversals on the regular basis, it is easier to see that what is true for the little things is just as true for serious disappointment and suffering. It has to be so. After all, if it's not true for the big things too, then it's not true at all. This exercise helps me to feel what I know intellectually to be true. Also, this is an exercise that can help us to enjoy what is beautiful. I am not by nature given to gratitude and can tend to take good and beautiful things for granted very quickly. So in my day, I especially look for beautiful things in the context of what might otherwise seem bad. I work on the principle that if I start to notice the little things, then it develops my appreciation for the grand vista too. One of the attributes of beauty is due proportion. If I develop the habit of noticing the parts and the details, then it helps me to see the good of the whole too. In other words, it helps me both to analyse and synthesize. These are skills that contribute to my ability to apprehend beauty - to see the part in relation to the whole, and the whole in relation to others. I suggest that every creative artist should develop this habit as part of his formation! The dynamic of analysis and synthesis can be applied to time as well as space. In every moment there is something good happening, even if my general response to what is going on is initially bad. This how I can stop a few hurtful words before lunch influencing my sense that I am 'having a bad day', and instead allow the good to characterize the day. This is not only a better attitude to have, it is in accord with what is true. We know the day is good, objectively, because it is made by God and it is a gift given to all of us. This exercise allows us to feel what we know to be true in this regard. This is a similar frame of mind to what modern new-age therapy calls 'mindfulness' except, I would say, this runs deeper and truer. And it has a longer and broader pedigree coming out of traditional Christian mysticism. And this is why I say it could be an exercise that develops better concentration and attention to detail. I have wondered at times if, judged by my natural levels of concentration, I could be diagnosed with low-level ADHD. Certainly, I struggle more than I would like to concentrate on anything I'm not hugely interested in and would always rather listen to the talking book while driving the car than read it just because I can't sit still. I don't read fiction and haven't read a novel in years apart from easy-read detective stories. I like getting news in 5-minute podcasts and can hardly focus on a newspaper. I don't know how this compares with the norm for the population (and I have often wondered if it's down to all the coffee I drink) but regardless, this exercise does help to at least to get some things done and to enjoy the process as well. It's not always a bad thing. I like squirrels and I'd rather be looking at a squirrel than contemplating my poor powers of concentration anyway. Joking aside, I know there are many whose lives really are made extremely difficult by a chronic inability to stay focused. Even so, I wonder though if a daily meditation of this type might help even those who are genuinely ADHD? It can't do any harm. And it is a task that needs very little attention time in itself. It takes me a minute or two at most to do this. The effect is cumulative - I was told initially to try it for 30 days and see how I felt at the end of that time. So, I encourage to try it yourself and see how it goes. Remember, the Divine is in the detail! Some of you may wonder what prompted my starting this habit nearly 30 years ago? The answer is that I met someone, an elderly man called David, who told me something that shook me when I heard it - misery is optional. When I heard it, my first reaction was to be certain he was wrong. I was certain because I was miserable, and if he was right, I would have to admit some terrible truths. First of these was that David knew more about how to live happily than I did; the second was that I was responsible for my unhappiness. My pride was such that I couldn't possibly admit either of these things easily. Prior to meeting David, if I met a happy person the only way I could reconcile my misery and intellectual pride with their joy was to assume they were deluded or foolish, and probably both. Happiness, I had always thought, is the preserve of the stupid and superficial thinkers. When you are deep thinking and intelligent like me then you understand the profound truth that life is miserable. But David opened my mind by presenting me with a version of Pascal's wager (although I didn't realise that this is what he was doing), he challenged me to try it. My friend then chimed in and said he had been doing a simple program of daily prayer and meditation that David had suggested to him and this had changed his outlook dramatically and encourage me to do the same. It was this personal recommendation from someone I liked that made me pause. David told me he would happily show me these things too if I was interested. 'Try it for 30 days, do everything I suggest, and if you don't like it we'll return your misery with interest!' he said. The process that he gave me was called the Vision for You process. It was a daily routine of prayer, meditation, contemplative prayer and good works that are both simple and practical and involved about 10 minutes a day, plus a weekly voluntary commitment of service anywhere where I could be of use. I decided that it couldn't do any harm to try and he wasn't asking for money, so I thought I'd give it a go. Something that persuaded me was that I had noticed a change in the positive in my friend, I thought, in recent weeks. He had started to become irritatingly cheerful and couldn't be. The gratitude list is just one of the simple spiritual exercises he gave me and I would say that without a doubt it works. I can't prove it, of course, but I am convinced enough by it to have kept going with it daily for a long time. Another one of the exercises he gave me was to get on my knees in prayer every day and ask God to look after me so that I could give glory to Him and be of service to my fellows. As David said to me all those years ago put it, the gratitude list is written proof that when you asked God to look after you today, he answered your prayers. David told me that this whole process, the Vision for You, would do more than raise my baseline of misery. It would give me a life 'beyond my wildest dreams', engender a deeper faith in God and help me to discern and realise my personal vocation. Some of you may remember a post from a long time ago in which I described how I became an artist. 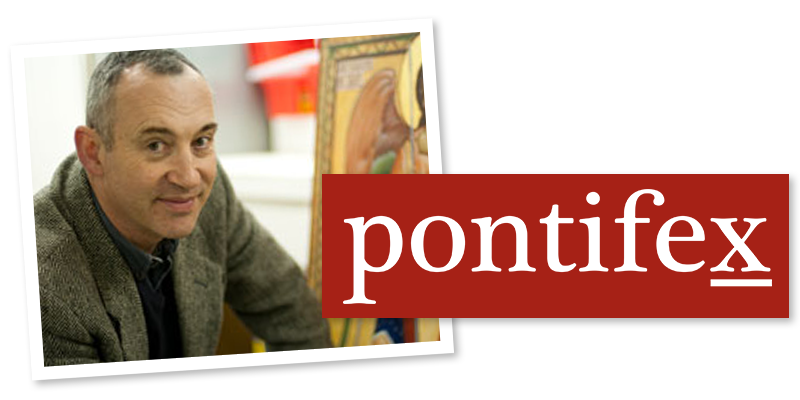 It is here - Discerning My Vocation as an Artist. David is the man I was talking about in this earlier article. He showed me how to be doing what I do now! It is also the process that converted me to Catholicism, and David was my sponsor when I was received into the Church in 1993 nearly five years later. Sadly he died of a heart attack in 1998 - nearly 20 years ago now. I would have loved him to see just how much this process, which I still practice to this day, continues to give me so much in my life and in the lives of people that I have passed this on to over this period. There are dozens. I don't have the space to describe the full process here - I have a book manuscript ready for publishing which is over 200 pages long and which describes the whole story in detail. Once I had the initial daily routine as a habit and I decided that it was working, David introduced me to a series of deeper structured reflections and it was at these that included the discernment process. All in all, it took several months. It was work, but it was worth it! David said that he would give freely of his time and consideration, but only on condition that if I benefited from it, I would be prepared to pass it on, in turn, to any others who wanted what was on offer. This is why I am happy to help anyone who is interested in following this process today if they are serious about doing it. If you have questions about it, do feel free to contact me, but in the meantime here is a document which contains a summary of the process, the spiritual exercises, the daily routine and the discernment process. 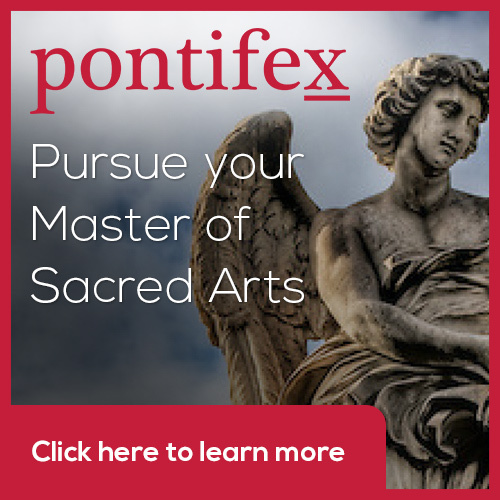 Master of Sacred Arts at www.Pontifex.University - a cultural, intellectual and spiritual formation in beauty and creativity for artists, patrons of the arts, and anyone who wants to contribute creatively to the establishment of a culture of beauty today.